My only wish is that I’d never seen it. I like the concept but, like buying tight fitting pants on-line, the “end-product” was poor in practice. 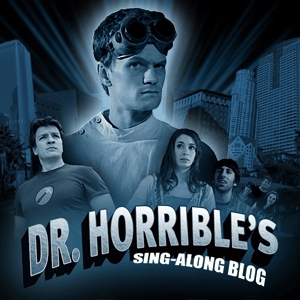 The plot: Neil Patrick Harris as an aspiring mad scientist super-villain/evil genius + songbird. This was (ill) conceived during the WGA (Writer’s Guild of America) Strike and was released for internet distribution only. This should be some indication of the quality of this production. I did, however, appreciate his “evil moisture buddy” sidekick, Moist.